Ryan Reynolds and Hugh Jackman have called a truce to their long-standing (fake) social media feud. On Thursday, though, they announced that they were putting the rivalry behind them and, as a gesture of goodwill, would be making an advertisement for each other's companies. Reynolds is the owner and chairman of Aviation American Gin and Jackman owns a philanthropic coffee enterprise called Laughing Man Coffee. Ryan Reynolds and Hugh Jackman have been beefing for what seems like forever now. Most recently, Jackman teamed up with Jake Gyllenhaal to prank Reynolds in festive fashion. 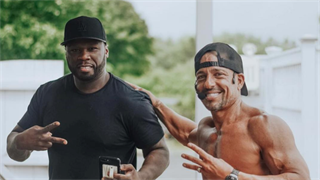 The "Deadpool" star posted a picture of the A-list trio on Instagram, though, his outfit choice seemed a bit out of place with his colleagues'. "These f---ing a--holes said it was a sweater party," he captioned the photo. Now, though, it seems Jackman and Reynolds are putting the feud behind them - for now, anyway. The pair both tweeted to say that they were calling an official truce and, to sweeten the deal, would be making advertisements for the other's company. Ryan Reynolds famously bought Aviation Gin back at the beginning of 2018 and Jackman owns a philanthropic coffee enterprise called Laughing Man Coffee where part of the profits go towards charitable programs that support better health, housing, and educational initiatives within fair-trade farming communities. "Official truce! I'm going to make the most amazing ad for Aviation Gin. And, look forward to seeing what @Vancityreynolds comes up with in return," Jackman tweeted. "Official truce with @realhughjackman! As a gesture of goodwill, I'm gonna make a beautiful ad for his company, Laughing Man Coffee. Can't wait!" Reynolds mirrored. Quizzed about his intentions by Aviation Gin's official Twitter account, Jackman replied: "Editing. Can't talk." "He's editing. He can't talk," Reynolds then confirmed. Heâ€™s editing. He canâ€™t talk. 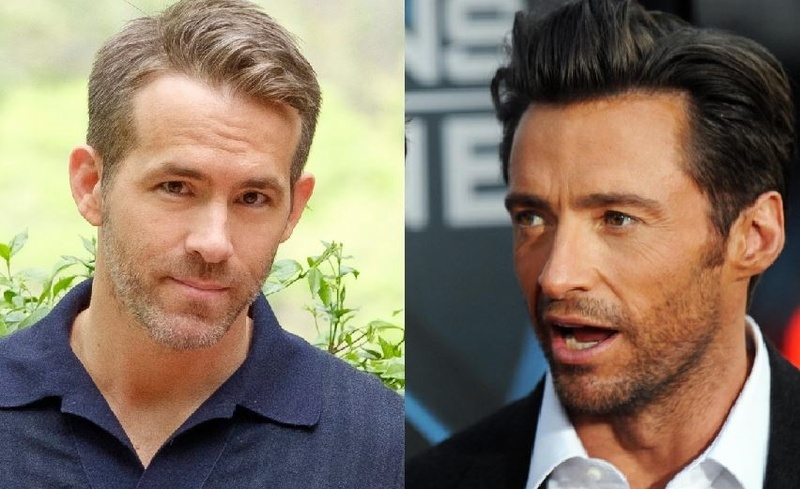 Jackman and Reynolds have been teasing each other on social media since at least 2015, when the latter - in full "Deadpool" make-up - mimicked the Australian's accent in a joking plea to vote for him for People's Sexiest Man Alive (both have won the accolade in the past). Last year, Jackman tweeted a photo in honour of his 22nd marriage anniversary with wife Debora-lee Furness, along with a sweet caption, "You and the kids are the greatest gift I will ever receive. I love you a gazillion times around the world." Reynolds quoted the tweet and said, "I gave this three months. Tops. I was wrong." Reynolds took the feud up a notch in November when he posted a mock political smear ad in the aftermath of Jackman's much-lauded performance in "The Frontrunner." "Hugh Jackman's upcoming performance in The Frontrunner has fooled some people into thinking he deserves an award, but before voting begins, some people should consider these facts," Reynolds narrates in the video. "Hugh Jackman isn't his real name. It's Hugh Michael Jackman. Hugh Michael speaks with a charming accent, but he's actually from Milwaukee. He then walked off the job at Wolverine, adding to unemployment," Reynolds says as a note at the bottom of the screen reads, "This is in no way true." "Is this the type of amazing actor and nice person we want delivering a preachy liberal speech this awards season? Or maybe there's a real foreigner from a bordering country who would really love it a lot," he finishes as a shot of himself appears on screen. A few weeks later, Jackman clapped back with a video exposing "the truth" about Reynolds. "Ryan Reynolds may seem like an honest, hardworking movie star, husband, and father, but don't let the facts get in the way of the truth," Jackman says over various shots of Reynolds. "The truth? He's being riding Hugh Jackman's coattails since 2009, when Hugh hand-selected him to star in X-Men Origins: Wolverine, in the universally acclaimed, best portrayal of Wade Wilson, ever." He adds: "The truth? Ryan Reynolds was only named People Magazine's Sexiest Man Alive in 2010, the year after he met Hugh. Coincidence? Please." If Reynolds and Jackman are serious about this truce - and we doubt they are - it will be a sad day indeed for all of us that have been enjoying their hilarious feud over the past few years.